Christmas in Tanzania! Honestly, I couldn’t imagine a more perfect place. Though I did miss our house, I think we did a pretty great job making it a magical Christmas! Quickly upon arriving in Dar es Salaam we went on a massive hunt for a Christmas tree. We debated whether we should get a palm tree to decorate, but I really wanted a traditional Christmas tree. Christmas is such a magical time of year, and I wanted to keep it as traditional as possible. We ended up finding a small fake Christmas tree at the Village Supermarket, while it was way over-priced, we decided it was worth it — if we aren’t going to splurge at Christmas, when would we, right?? We bought the tree, a single strand of lights, two tubes of bulbs, a star for the top, and four stockings. 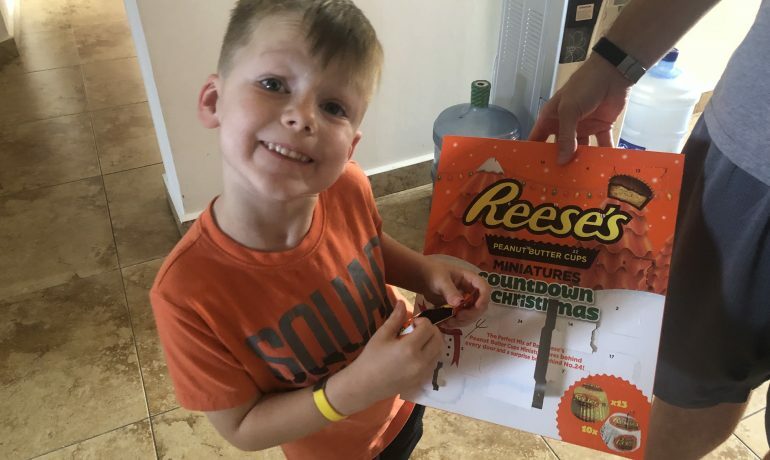 We also found an Reece’s advent calendar. We’ve never used one before, but Nolan was super excited this year and was constantly asking how many days till Christmas, so we thought it was the perfect year to get one! When we got all our goodies home, we wanted to immediately decorate the tree, but since we work second-shift, we had to hold our Christmas spirit at bay for the evening, but the first thing the next morning, Nolan insisted we decorate the tree. We strung up the lights, Nolan places the bulbs himself, and, as is the tradition, Daddy and Nolan placed the star on top! Finally, I used Nolan’s glitter glue to write our names on the stockings and we hung them on the patio door. Check out our Christmas Tree decorating on @BrownsATW. Second, a visit with Santa. We thought there was zero chance we were going to find Santa in Dar es Salaam. 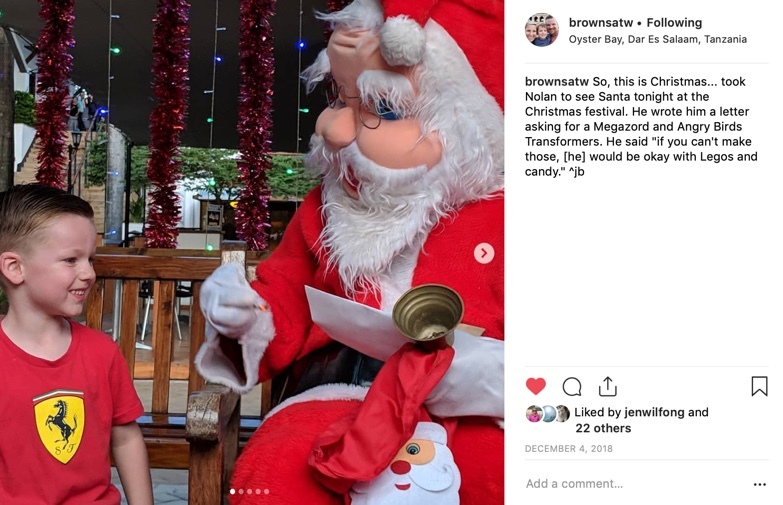 Surprisingly on one of our first trips to the Village Supermarket, I saw a Christmas Celebration flyer which was being held at a hotel close to our apartment, and the flyer said Santa would be there! So we figured that was our one chance. I had to work, but Jim, Priya, and Nolan headed over, and they were not disappointed. Nolan was able to deliver his letter to Santa! Jim, being the fantastic Dad that he is, sat down with Nolan before going to see stand to “strategically” write the letter to Santa. 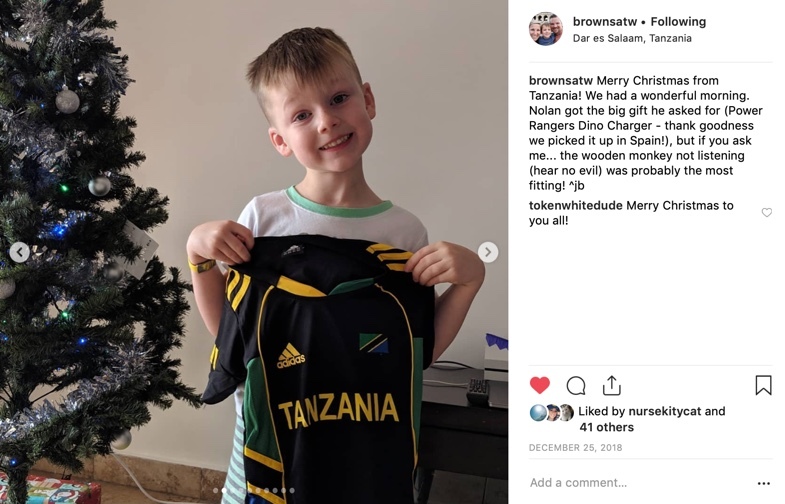 Thankfully, we purchased Nolan’s big gift in Barcelona and brought it with us to Tanzania, so we knew we were golden on the “big gift,” but we had no idea what else we would be able to find, so we wanted the letter to be generic. In addition to the Power Rangers Dino Charger, Nolan asked for Legos. Check out Nolan’s visit with Santa on @BrownATW. Next up, turn up the Christmas cheer! 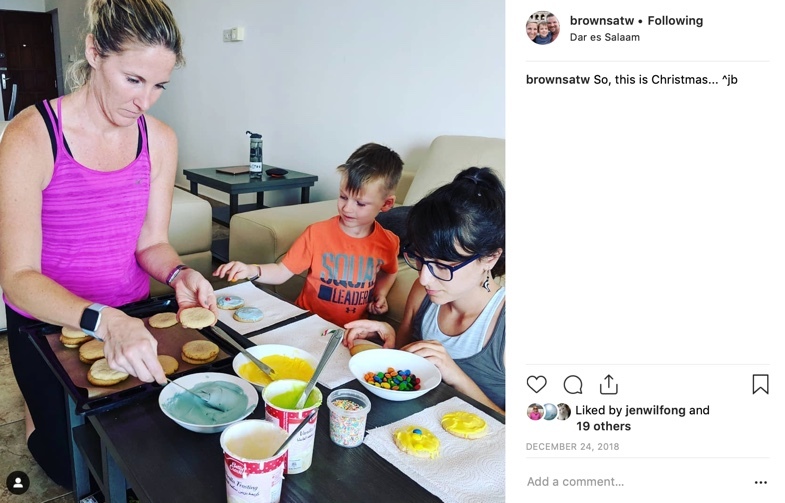 We made and decorated cookies, I made TWO batches of egg nog, watched all our favorite the Christmas movies … twice, ok, maybe more … and we listened to ALL the Christmas music. Check out our Christmas spirit on @BrownATW. 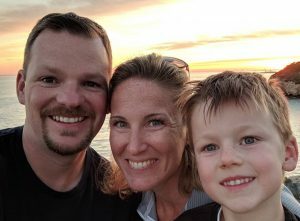 Finally, it was the big day! Nolan, of course, left Oreos & milk for Santa and a carrot for the reindeer, and then it was off to bed. Christmas morning, Nolan made it till about 6:30am before waking us all up. He patiently waited to make sure I had my coffee before we started with stockings and presents. As is tradition, each of our stockings had a can of silly string, so before we got to any of the gifts…. we had our annual silly string fight. Lots of laughter and giggles, it’s one of my favorite traditions! Nolan was quickly back to presents, and I have to say, he was pleased with his booty. After presents, I made breakfast, complete with homemade cinnamon rolls and the most expense bacon I’ve ever purchased in my life, but hey it was Christmas. We played with toys, watched movies, went to the pool, and then took a family nap. In the evening, I made reservations for dinner at the Sea Cliff, which was a restaurant just down from our apartment. I didn’t want to make a big meal on Christmas, and it was our last night in Dar es Salaam, so dinner out seemed perfect. 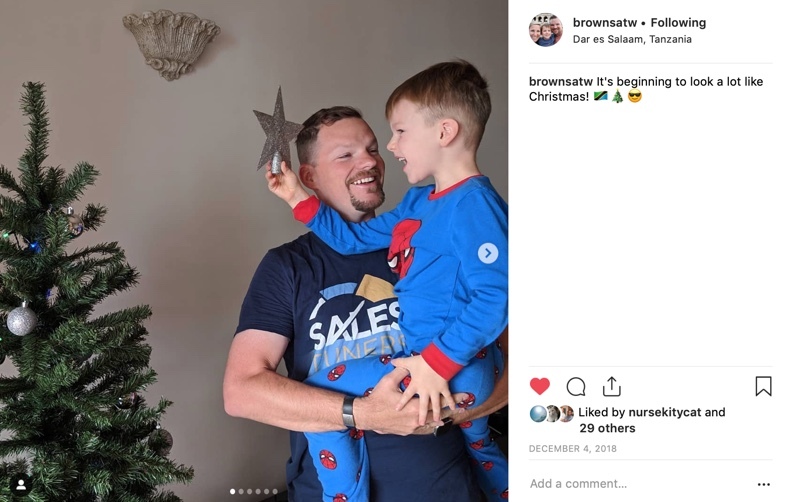 Check out all our Christmas photos on @BrownsATW. You are such a lovely couple that attended my Thai Cooking Class in Chiang Mai, Thailand. You are always warmly welcome back !!! wish you all the best. !!!!! You found us! Thanks for checking out our website. We greatly enjoyed the cooking class today. I’ll be trying a few of your receipts in the next couple of days — sticky rice for sure!